It's been a tough year for most investors -- including the most legendary one out there. Shares of Berkshire's A and B shares are each down about 13% so far in 2015. The A shares (BRKA) are for the 1% -- they cost just under $195,000 apiece. The B shares (BRKB) trade for about $130. The last time the Oracle of Omaha's company did so poorly was in 2008, when both classes of Berkshire's stock fell 32%. Of course, 2008 was a lousy year for just about everyone. Remember that whole financial crisis/Great Recession thingy? But as bad as 2008 was for Berkshire, Buffett still wound up outperforming the broader market that year. The S&P 500 plunged 38.5%. This year, Buffett is lagging the market. The S&P 500 is down ... but only by 2%. The last time that Berkshire had a down year and underperformed the S&P 500 was all the way back in 1999. That year, the S&P 500 gained 19.5% while Berkshire's A shares fell 20% and the B shares were down 22%. Even though the overall market is down this year, there are some similarities to 1999 to help explain why Berkshire has been a worse investment than the S&P 500. In 1999, large tech stocks soared. This year, they are a big reason why the index hasn't suffered a worse drop. Netflix (NFLX) and Amazon (AMZN) have each more than doubled. Alphabet (GOOGL) (née Google) is up more than 40% while Facebook (FB) has gained more than 30%. And just as Buffett lacked exposure to the Microsofts, Ciscos, Qualcomms and Sun Micros of the world in 1999, he has no investments in this year's Fab Four of Tech. So that has hurt Berkshire. But making matters worse is the fact that so many of Berkshire's largest holdings have tanked. IBM (IBM), one of the few techs that Berkshire actually owns, is down more than 15%. Big Blue is Berkshire's fourth-largest holding. And these other top 20 Berkshire stocks have dragged down Berkshire's investment returns as well. That's a lot of losers. But Berkshire isn't just about stock picks. It is -- in the words of Buffett -- a "sprawling conglomerate, constantly trying to sprawl further." It owns Geico and several other insurers, consumer brands like Dairy Queen, Fruit of the Loom, Oriental Trading and Benjamin Moore as well as the Burlington Northern Santa Fe railroad and a bunch of electric utilities and natural gas pipeline companies. And even though lower oil prices have hurt BNSF and some of Berkshire's energy units somewhat, overall revenue at Berkshire is still up 8.6% in the first nine months of the year. Profits rose more than 18% -- helped by a $4.4 billion gain from the merger of Kraft and Heinz in July. 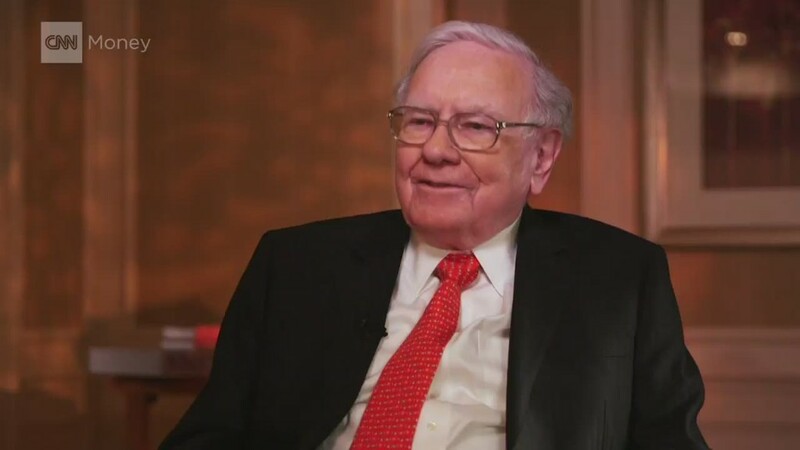 Berkshire was a majority shareholder in Heinz and now owns a nearly 27% stake in Kraft Heinz (KHC). In addition to the Kraft Heinz deal, Berkshire took another step to "sprawl further" this year by purchasing aircraft components maker Precision Castparts (PCP) for $32 billion. So Buffett probably isn't too disappointed in how Berkshire has done this year, despite the sizable drops in some of its largest holdings. His many fans probably aren't too upset either. After all, Buffett is no day trader. He invests with an extremely long-term horizon. And that has served Berkshire extremely well. Berkshire's B shares are up 123% over the past decade -- more than double the S&P 500's gain of 58%. And since the cheaper B shares -- aka the Baby Berkshires -- began trading in May 1996, they are up 541% compared to 201.5% for the S&P 500. If history is any guide, Bufffett will bounce back next year. Berkshire's B shares have never suffered two consecutive years of declines. And the last time the A shares fell two years in a row was way back in 1973 and 1974.